When First Night celebrations are over and done, and New England wakes to greet January 1, the region must brace for what is typically the coldest month of the year. Lakes will freeze. Snow will fall. And kids will flush ice cubes down the toilet and wear their pajamas inside out and backwards in hopes that accumulations will lead to school cancellations. If you think January is hibernation time, you're mistaken! Even the animals at Roger Williams Park Zoo in Providence, Rhode Island, remain active—and on view—in the wintertime. If you don't ski, you can embrace outdoor winter activities like snow tubing, snowmobiling or even dog sledding. You can even swim outdoors in New England all winter long. And if you truly hate the cold, that's still no excuse to hunker down at home. Head to New England with someone you love, and hole up at one of these inns with a fireplace in every room, dine at New England's best restaurants with fireplaces, or visit New England attractions where you'll forget it's January entirely (like the Magic Wings Butterfly Conservatory in Massachusetts, where it's always 80 degrees!). Brace yourself for frigid temperatures and long, dark nights if you're visiting New England in January. Think of it this way: Every moment spent braving the cold makes coming indoors feel all the more cozy and sipping hot chocolate infinitely sweeter. How much snow New England will see is anyone's guess, and snow totals can vary widely in the region. In Boston, the average total snowfall in January is 13 inches. Winter clothing is necessary in January, so fill your suitcase with sweaters, fleecewear, warm socks and flannel PJs. You'll also want a well-insulated winter coat or jacket, waterproof boots and snow pants, too, if you plan to play in the white stuff. Hand and toe warmers can make the difference between enjoying outdoor activities and calling it quits early. 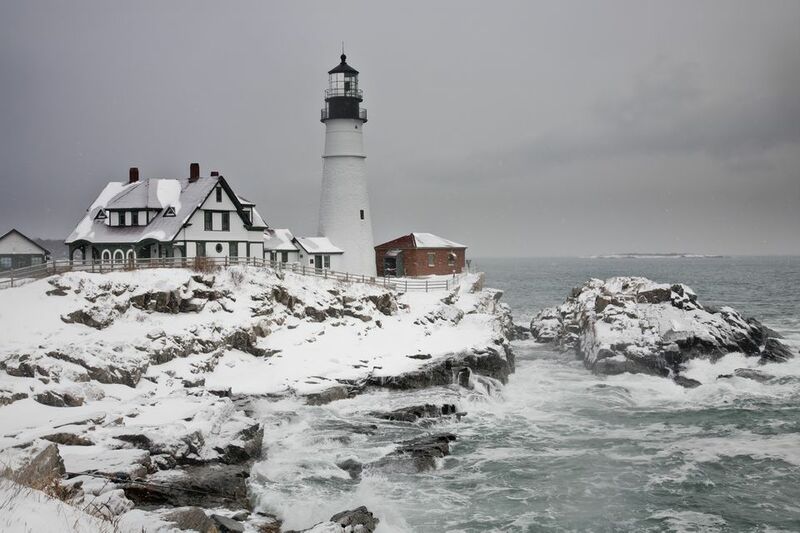 One-of-a-kind events in January help New Englanders and visitors avoid cabin fever. Book a Penguin Encounter at Connecticut's Mystic Aquarium. Participate in the Historic Inns of Rockland's annual Pies on Parade inn-to-inn pie tour in Rockland, Maine, on Sunday, January 27. If you are a serious skier, head to Maine's Sunday River, Jay Peak in Vermont, the resurrected Powder Ridge in Connecticut or the Camden Snow Bowl in Maine: the only New England ski area with an ocean view! For the most magical and complete wintertime in New England experience, plan a January vacation in New Hampshire's White Mountains. If you're looking for a steal of a winter getaway deal, Cape Cod is quiet and always on sale in January. The Cape Cod Chamber of Commerce is a good source for hot deals. Winter storms—including potent Nor'easters—can crop up at any time during the month of January. If you're renting a car, splurge for an SUV. If you're traveling in New England in your own car, be sure to equip your vehicle with a snow scraper, shovel, rock salt or ice melt and blankets. Don't let your gas tank get below half full. Check cancellation policies before you book accommodations. Many inns and hotels that do not appear to have liberal cancellation policies may still be willing to work with you if a blizzard delays your trip or if you're unable to leave on your intended checkout date. It's worth making a phone call in advance, particularly if the forecast is threatening. Download the free Ski & Snow Report app from OnTheSnow for access to the latest New England ski condition reports on your iPhone or Android smartphone.